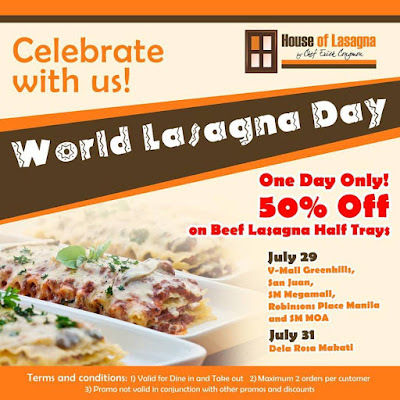 Let's celebrate Lasagna Day on July 29, 2017! 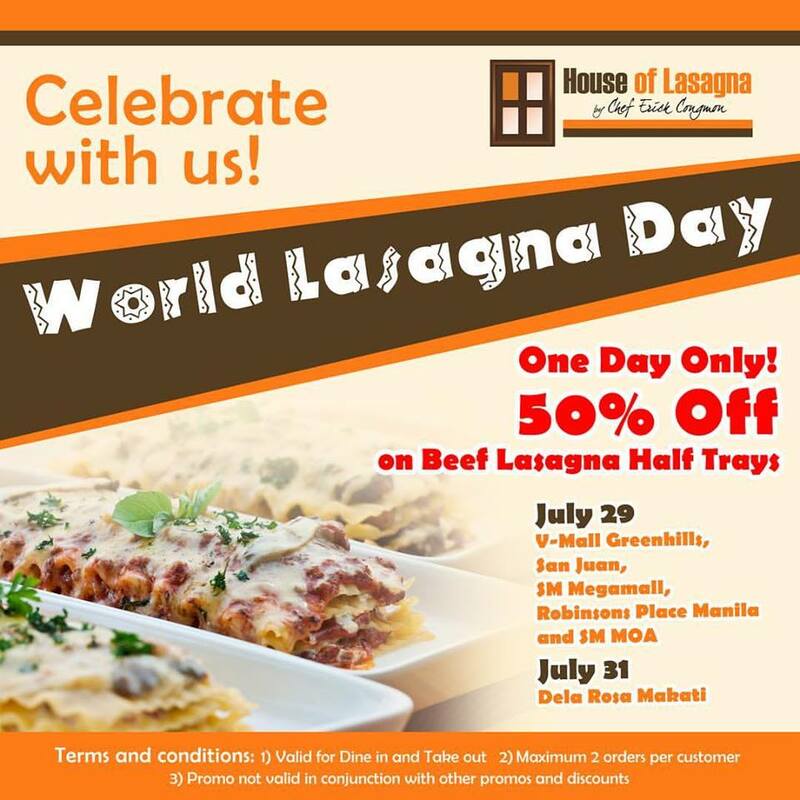 Check out House of Lasagna's 50% off World Lasagna Day Promo happening on July 29, and on July 31, 2017. 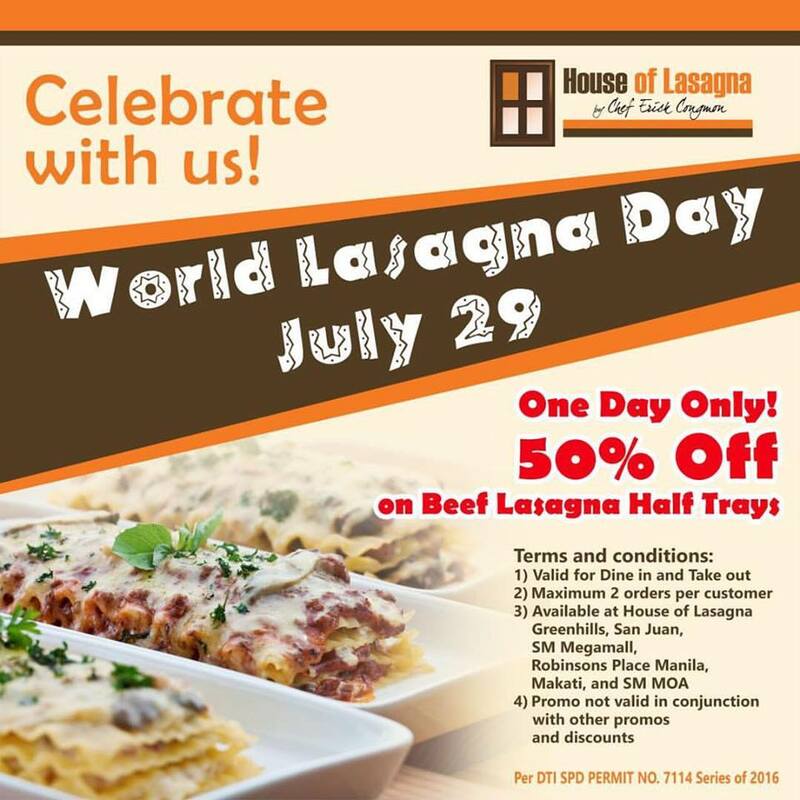 Dine at selected House of Lasagna branches and get their best-selling Beef Lasagna half trays at 50% off!